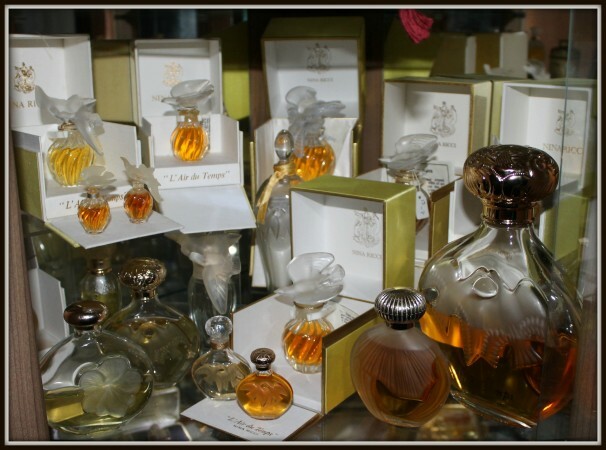 Visiting Graham Leonard from Green Parrot Collectables and Vintage Perfumes was like ‘walking into the past.’ I was keen to explore his vast collection of over 2764 bottles of perfume and to hear his enthralling story. Before even entering his house I was standing in his garden and could smell the scent, but not from the flowers, this was all the lovely perfume smells emanating from inside his home. Warmly welcomed inside I could clearly see his passion for the Art Deco era – he collects Art Deco watches as well, and his wife, also a great collector has a collection of over 770 miniature perfumes! Not to mention her collection of brooches (especially bugs), delft china and vintage jewellery. 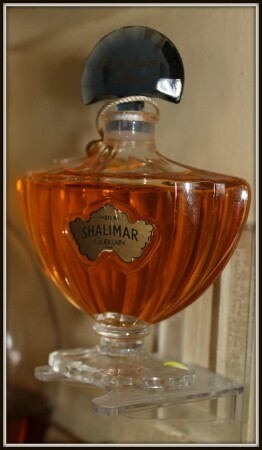 For the sake of preserving the perfume the house is kept at a temperature between 19-21° and the lights are kept dimmed. Graham has two rooms devoted to his collection and more bottles creeping their way into other rooms in the house, along with storage off the premises. I was intrigued by what made him start collecting perfumes and he said is was his ‘love of skilled craftsmanship and the design features of the bottles and packaging’. For four generations his family were gun makers and he has always worked with his hands – he loved the fact that he can put something of himself into a product. He now works as a stonemason, does French polishing and of course is a collector and dealer of vintage perfume bottles. Another was Prince Obolenski who in New York began his career as a perfume salesman before setting up his own perfume business. He designed some very rare bottles. I found the matching vintage perfume advertisement for sale on ebay and Greg from the Ad Store has kindly allowed me to share it with you. Graham’s oldest bottle is 111 years old (Russian) but his main collection spans from 1920 – 1950s when, he says, there were some exceptional perfume designers. 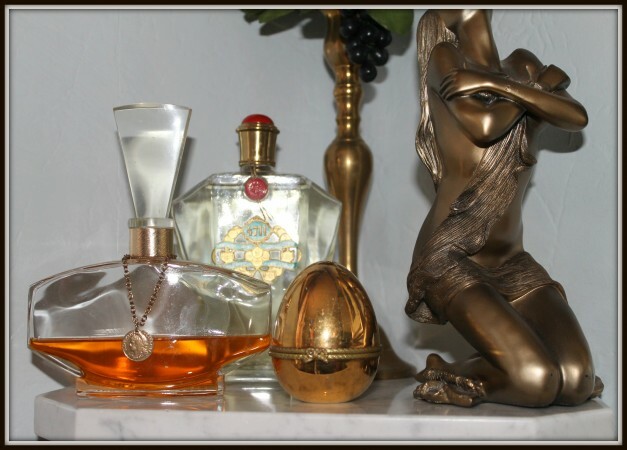 He collects unopened, original first series perfumes. 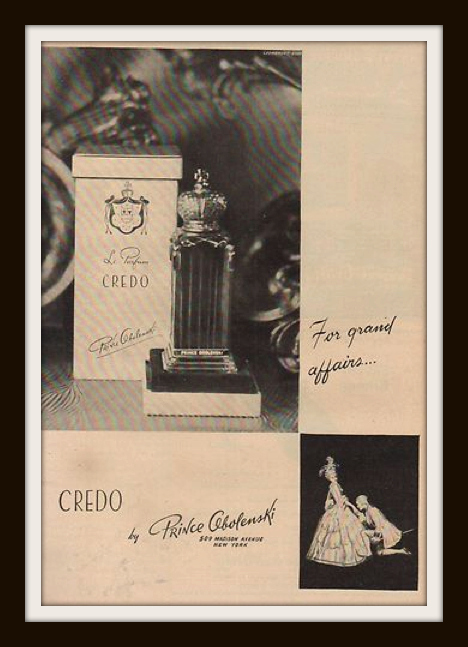 The earlier perfumes, especially pre 1920′s were more oil based, intense with heavier base notes. 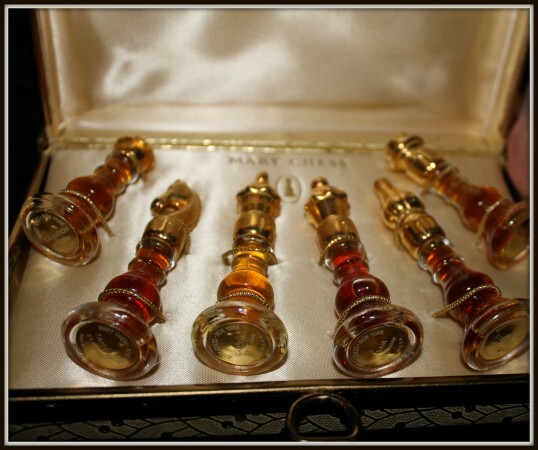 He also likes the bottles with hand ground stoppers (plastic stoppers appeared around 1970) which you don’t throw away when you finish the original perfume but can re-use by decanting new perfumes into the old bottles (modern spray atomisers are not refillable). This is acceptable only if you are using the perfume to wear rather than collect. He buys in antique shops, vintage fairs, on-line and at auction. 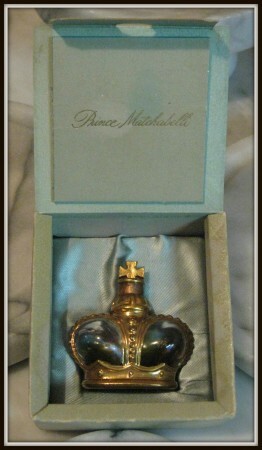 In auction, perfume bottles tend to be listed in sales of glassware, specialist sales or decorative arts. 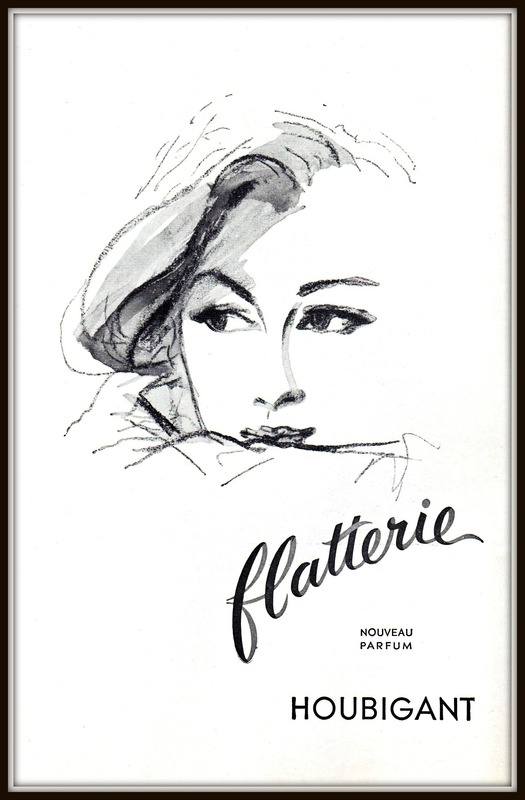 At auction you are more likely to find the factice perfumes. 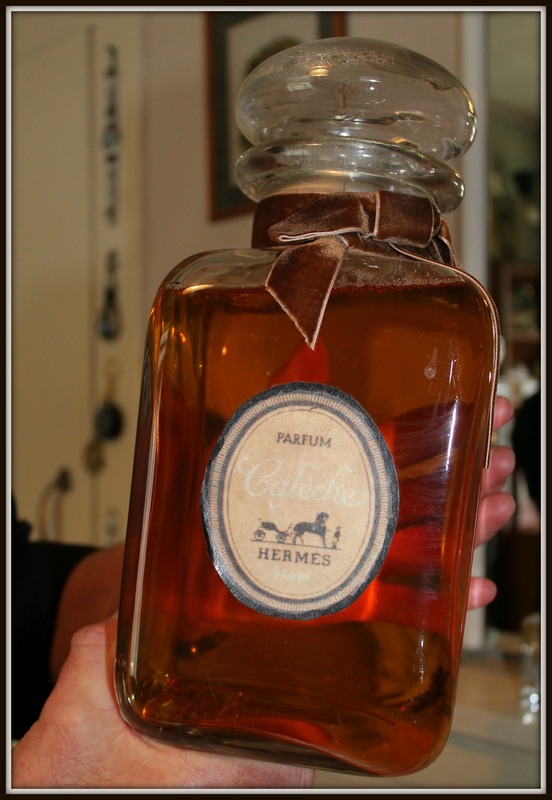 A factice is a bottle made for the purpose of display and is not for sale – it is purely for advertising. They can be made in a variety of sizes but it is usually the larger ones which are more collectable. They are not filled with perfume but a solution which resembles perfume or sometimes even coloured water. Graham’s quest is for the Lalique Nina Ricci double dove factice standing at 4ft 8″ high – he says only around 45 were made in the world (I have seen the 13″ one offered through Factice World at $1950.00) but he says the collector’s Holy Grail is Guerlain’s Baccarat factice and he believes only one collector in the country has this. 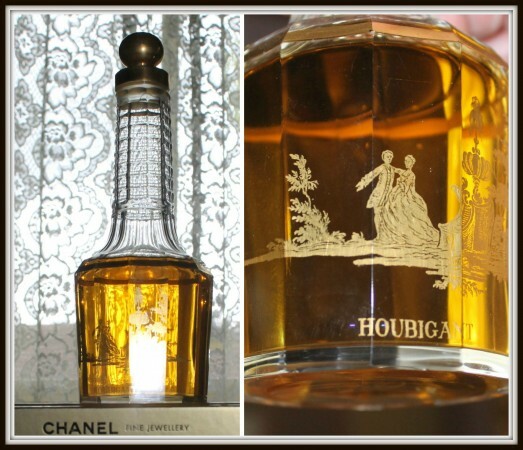 He has over 1,400 Lalique bottles in his collection, all signed, sealed and unopened. 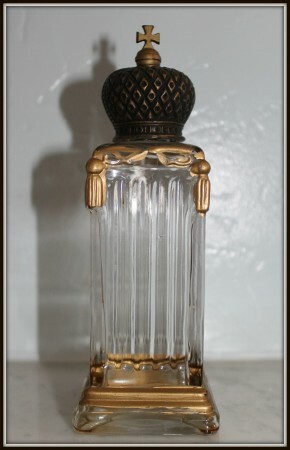 Graham is a member of the International Perfume Bottle Association (IPBA) formed in 1988 for enthusiasts dedicated to collecting scent containers and to researching and preserving the history of perfume bottles and related items, the fragrance industry, bottle designers and artists and manufacturers. The UK chapter was formed in 2001 and apart from holding conventions, they organise auctions, lectures, fairs and talks. People collect perfume and perfume bottles for all sorts of reasons. Some want to collect interesting bottles or those that are rare or limited editions. Some just want the perfumes that funnily enough were a complete disaster! Graham says he is meeting ladies in their 20s or 30s who, for nostalgic reasons, want to collect the perfumes their mothers wore. 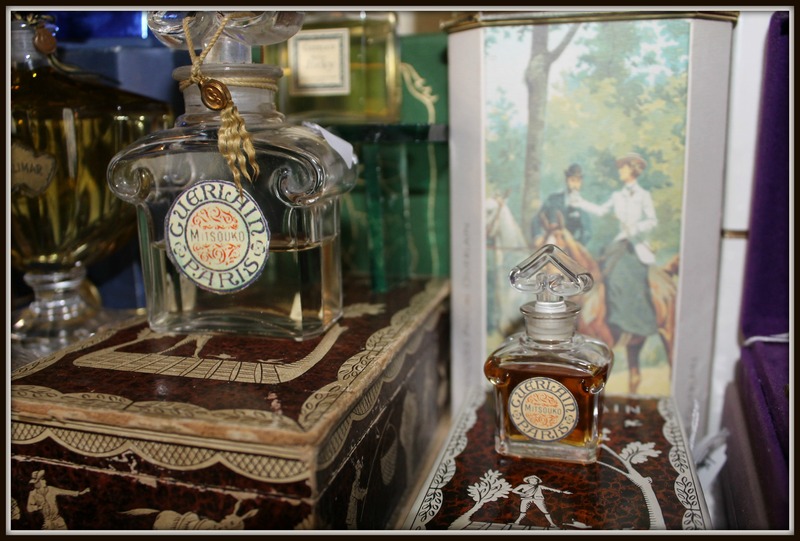 They remember their mother’s lovely dressing tables decorated with ornaments, vanity sets and perfume bottles and want to create one just like it, filled with vintage perfume bottles. 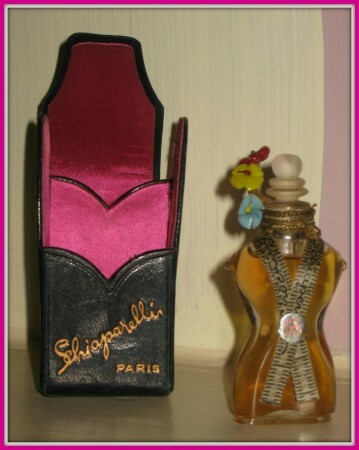 I had seen this wonderful Shocking perfume by Schiaparelli on Graham’s stall at another fair and hadn’t stopped thinking about it so asked if he still had it for sale – cue SCREAM – no, he had sold it and said he was very sad to see it go – as was I. 4711 a brand of Eau de Cologne (1920s) by Mäurer & Wirtz and a well-known favourite. In Breakfast at Tiffany’s, Holly Golightly dabbed her neck with this cologne! 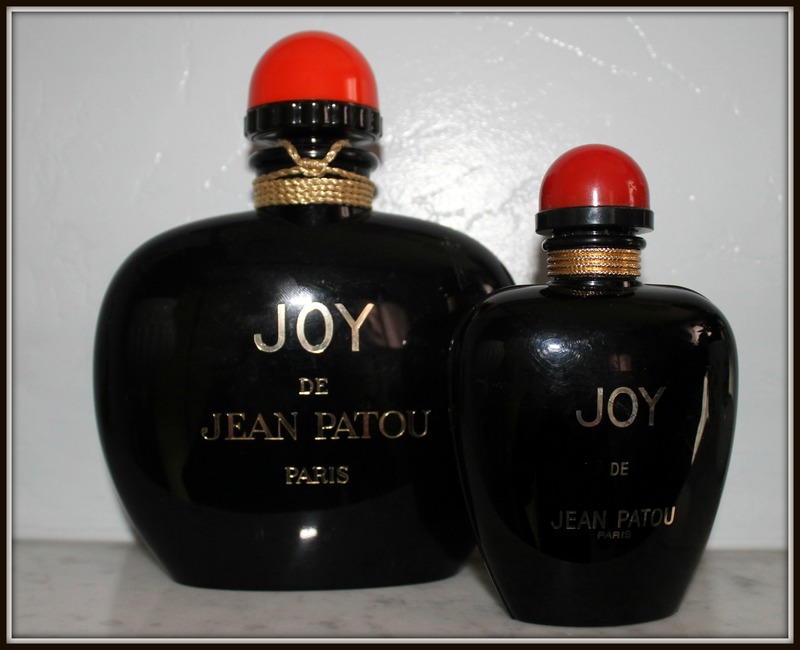 Joy was originally made in an emerald cut bottle designed by Architect Louis Süe and then a crystal flacon by Baccarat. It was voted “Scent of the Century” by the public at the FiFi Awards in 2000. 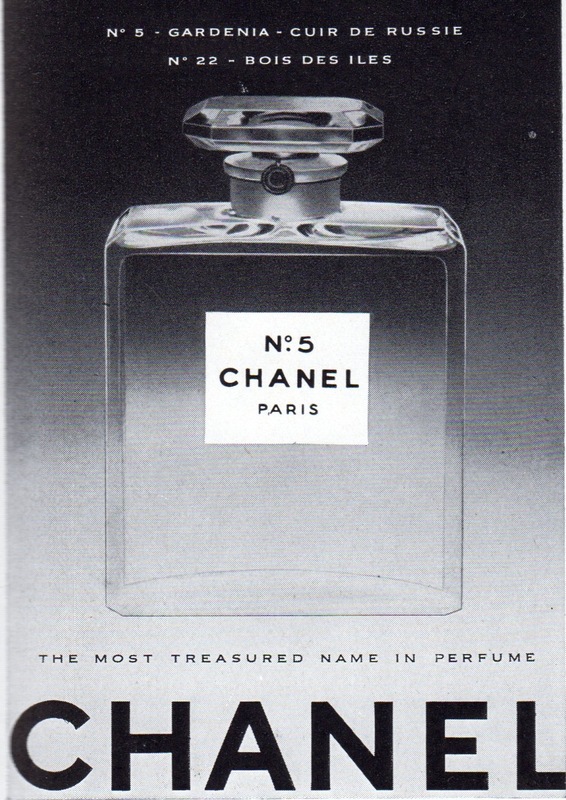 Marilyn Munroe’s favourite scent and the world’s bestselling perfume Chanel No 5 is a must for any perfume collector. The first bottle created in 1919 was different from the bottle we know today and was created only for ‘select’ clients. You can date a Chanel bottle in a number of ways. The bottle has stayed relatively the same since 1924 but the stopper has gone through several changes and can help to date the perfume. 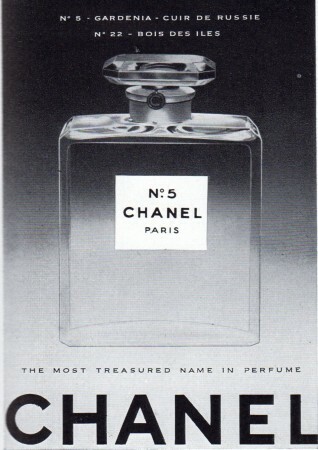 You will also see from this 1956 advertisement the label has a dot underneath the N°. This was on bottles from the 1920s until the 1950s, after which it disappears. 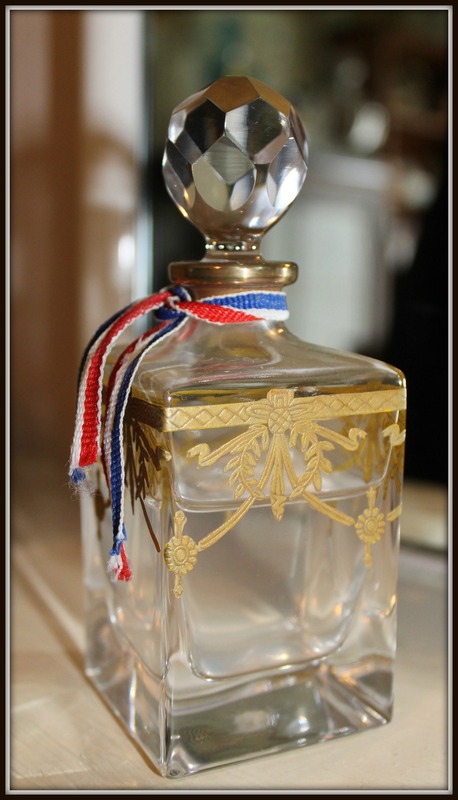 ♥ When buying perfume bottles look out for chips, scratches or cracks in the bottle and check the condition of the label (which adds to the value) – try to buy it as perfect as you can. ♥ Check the stopper is not rammed in and can’t be opened. Sometimes a little warm water can loosen this but be very careful not to damage the label. ♥ If you want to clean a vintage perfume bottle rinse out with mild detergent and lukewarm water or use stone soap, turn upside down and leave to dry. Or clean with lead shot if the bottle is lead crystal. If the bottle is milky try distilled water or rubbing alcohol or pour in old unwanted perfume which should clear it. ♥ Paloma Picasso large factice (tip: look for closing down sales from old chemists) A 1960 Salvador Dali nose-lip factice sold for nearly £900 in 2006. ♥ Any Dali signed bottles – the most sought after on every perfume collectors wish list (and huge budget) is Salvador Dali’s Baccarat Le Roy Du Soleil for Elsa Schiaparelli. According to Baccarat, just over 3,000 were made in 1945/46. ♥ According to worlds most expensive Clive Christian No. 1 Perfume is worth $12,721.89 per ounce and is therefore the most expensive perfume bottle. The baccarat crystal bottle contains 16.9 ounces of Clive Christian signature number one imperial perfume and has a 5k white diamond with an 18k white gold cap. 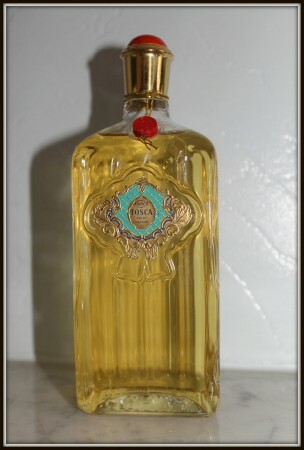 It had a limited edition run of only ten bottles in total. The price included delivery in a Bentley! 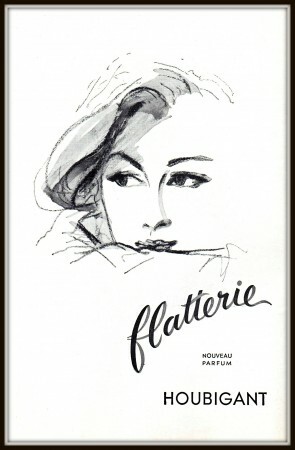 And hats off to Grace Hummel, a ‘self proclaimed perfume historian and detective’ who has created an amazing perfume blog and information pages on the web and ebay which offers an appraisal service, consignment sales, glossary, resources and useful tips on buying and selling. Perfectly charming…. I have always been in love with fragrance… I’ve worked within the beauty industry for 37 years… I’m not a collector as such, however I have played a big part in some of the most amazing fragrance launches in the UK. Every women should have a wardrobe of fragrances … Because every day is a new day. Oh i certainly think ladies should be armed with many fragrances so they can chose wisely and pick a scent for the particular mood that day. 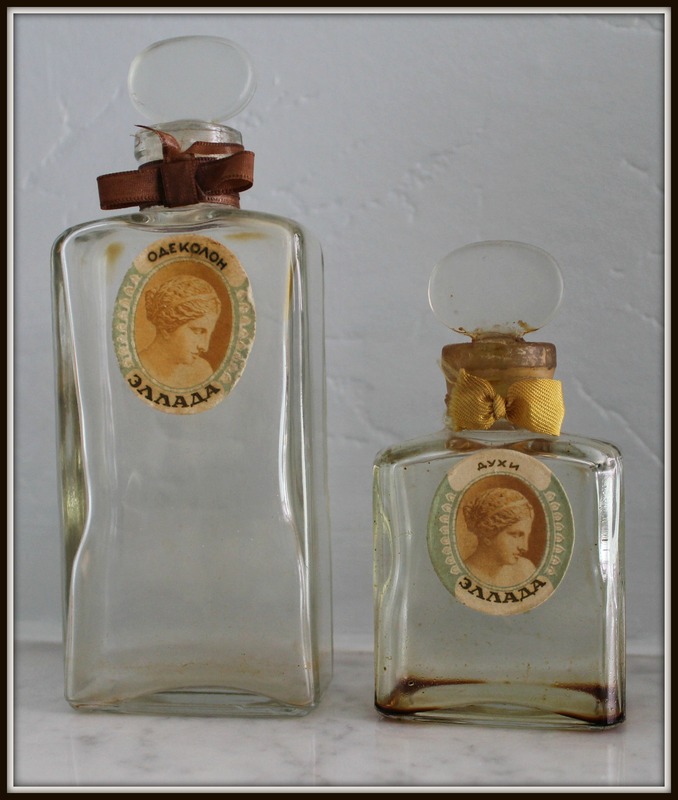 The antique scent bottles are so fabulous and certainly make a unique piece to a ladies dressing table. 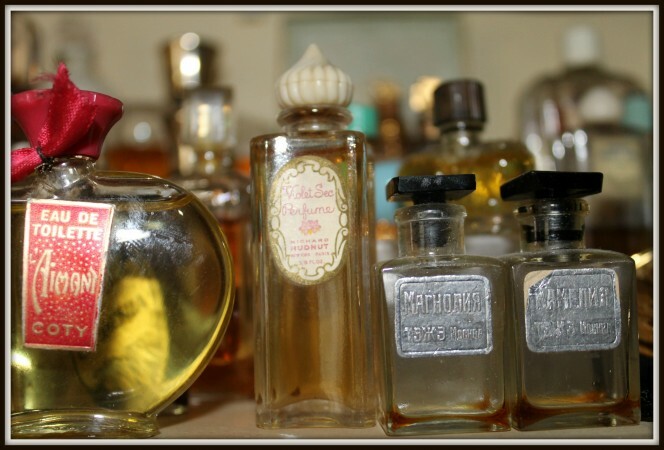 Thank you Gemma – I think antique scent bottles are lovely – my dressing table is full of them. I loved scanning and reading your amazing website!! 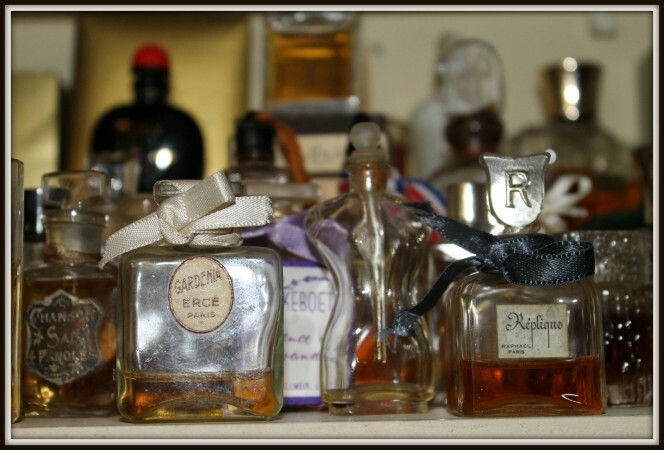 I have a vry small collection of miniature vintage bottles I have found over the years in shops and estate sales. I love looking at them on display! 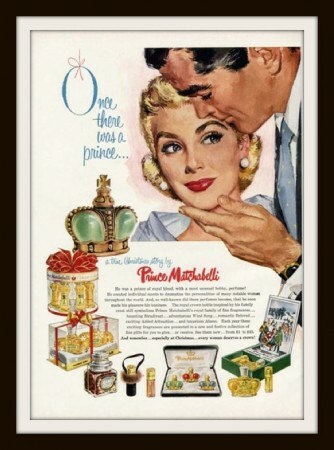 Do you know if this scent is still available anywhere??? Or, perhaps where I could get info on this? I lost my young bridegroom 10 years ago, after 50 beautiful years together, and I would so love to inhale that gorgeous scent again. You have some other scents from long ago that I recognize and had forgotten how very beautiful and delightful the pachaging was on these! Thank you so very much for providing me with such delightful memories! Thank you for your lovely comments and sharing your beautiful memories. 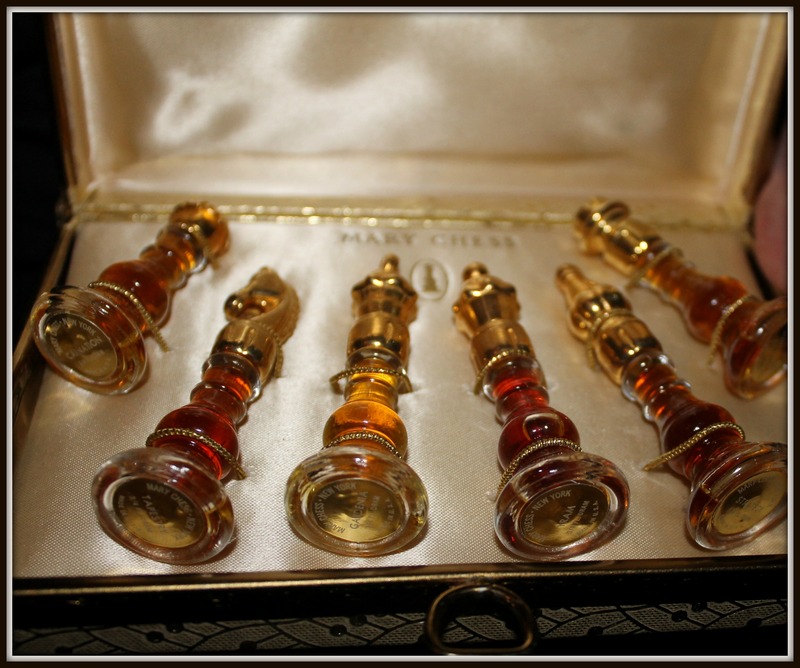 I do know of several sets of the Mary Chess for sale and have asked the gentlemen who is selling them to email you directly. I also see there are some of the individual bottles on ebay which you may find suitable. I do hope you find the right one. Such a delightful website Thank you for the time you spend on it. Love your site. Very interesting. I have an unopened small bottle of fete de molyneux 1967 in its original presentation box with card to sell if anyone is interested? I have an original joy perfume unopened in the original box with a certificate No 87 could you possibly give me a value on it and if so would you be interested in buying it? 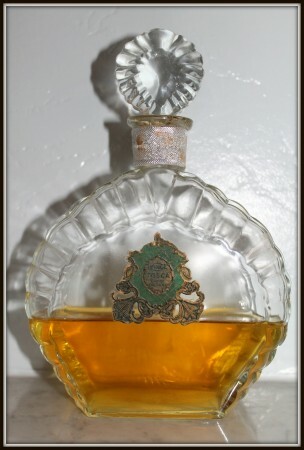 Hi I have a half bottle of the below cologne that I found in my father’s possessions when he died in 1992. I believe it is quite rare especially being half full. I was wondering if this is something you might be interested in? I’m trying to locate Charles of the ritz early 1970″s.